Y – Art for Art's Sake! 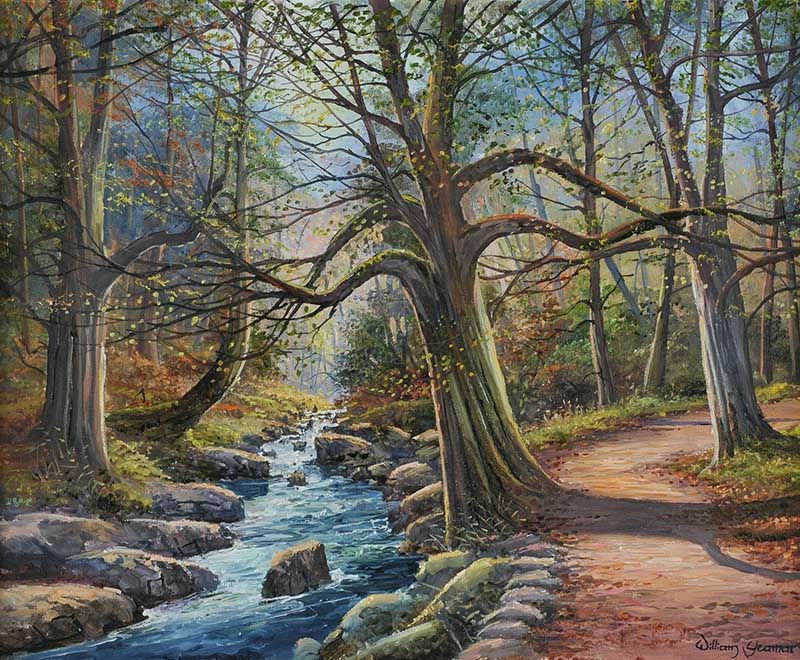 “Shimna River, Tollymore, County Down” oil on canvas (24″ x 36″), sold at Ross’s – 23/5/2018 for £260.00. 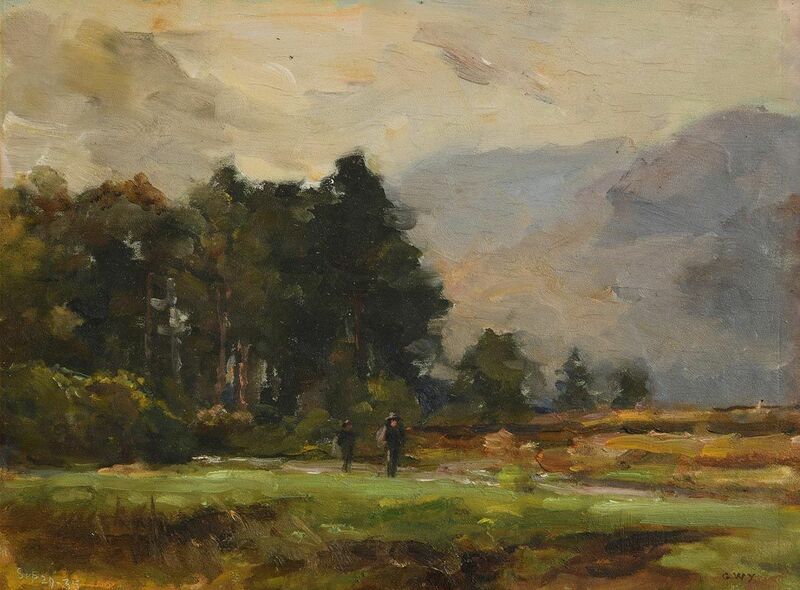 A Dubliner, who practised as a dentist in Baggot street for many years, and devoted most of his leisure time to the art of painting. 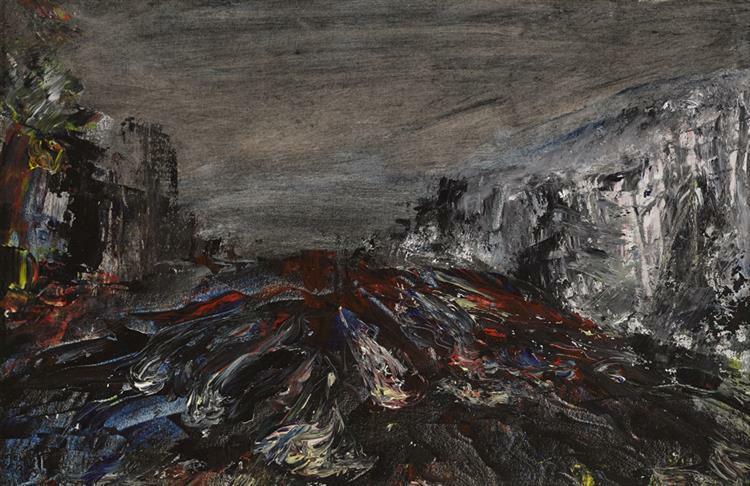 The artist was a latecomer and only began painting at the age of thirty. He was an admirer of Walter Osborne and whose influence can be seen on his work. 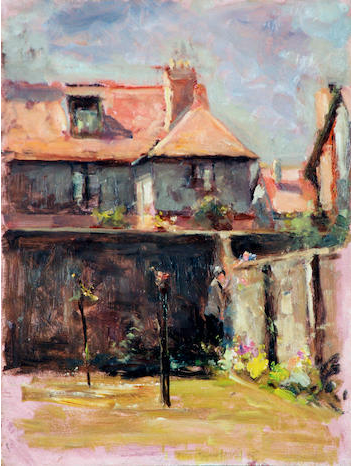 Left to right: “Walled Cottage Garden” oil on board (16″ x 12″), unsold at Henry Aldridge & Son, Wiltshire – 7/4/2018; and “Maam Cross, Connemara” oil on board (11.5″ x 15.5″), sold at Morgan O’Driscoll’s – 28/1/2019 for €550.00. 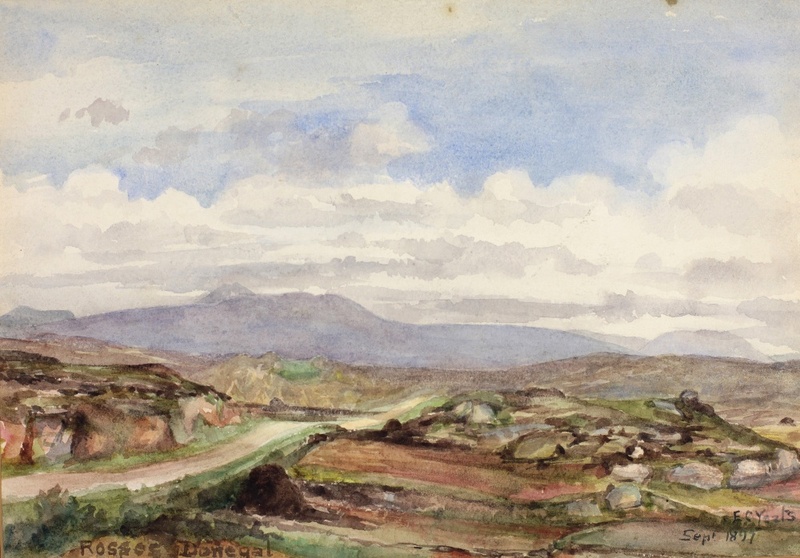 “Rosses Donegal” dated 1897, watercolour (8.5″ x 12″), sold at Mealy’s – 14/11/2017 for €300.00. 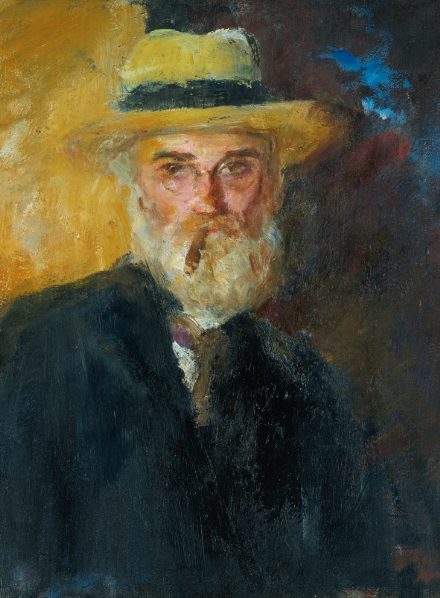 Born in London, the youngest son of Irish portraitist John Butler Yeats, and brother to W.B. 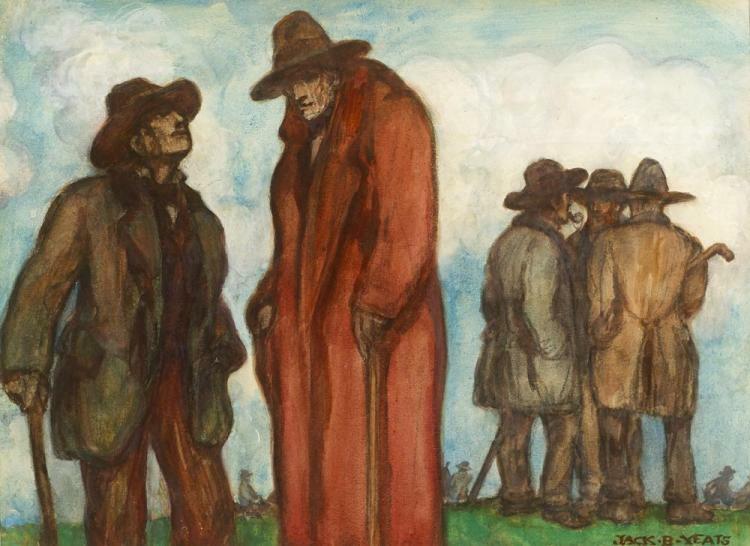 Yeats, the artist grew up in Sligo with his maternal grandparents. 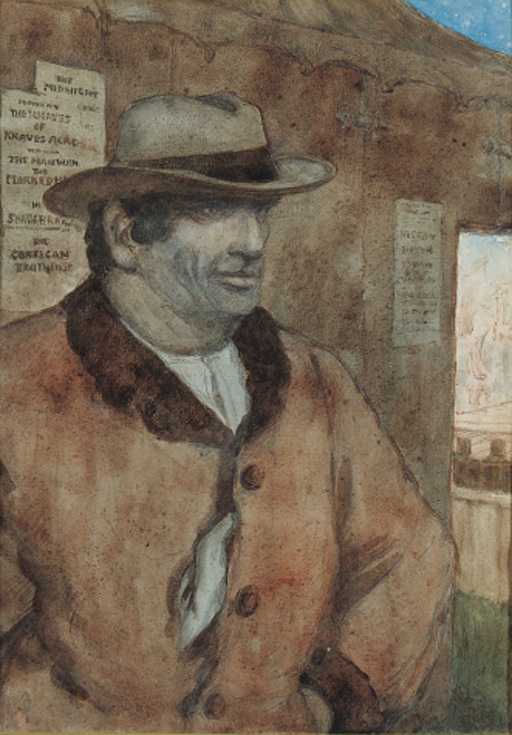 During the first ten years of Yeats’s career in London, he worked as a black-and-white illustrator, drawing cartoons for London journals, and illustrating books for his brother, W.B. Yeats, amongst others. 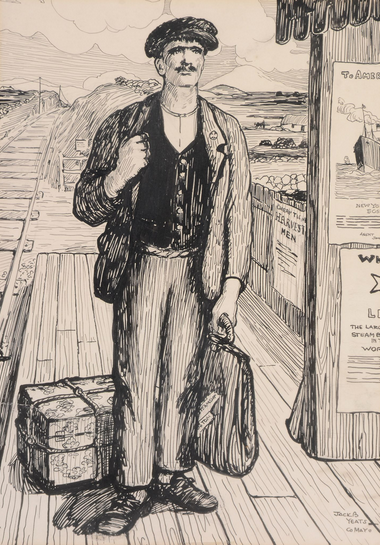 Left to right: “The Emigrant” (c.1905) a pen and ink drawing (13″ x 9″) carried a high estimate of £8,000–12,000 at Dreweatts & Bloomsbury’s sale on the 6/4/2016 – unsold; “The Gaffer” pencil/watercolour (1907) sold at Christies, London – 19/5/2000 for £30,550; and “Figures Gathered” c.1904/06, gouache and watercolour on card (10.5″ x 14″), sold at Whyte’s – 26/9/2016 for €17,000. 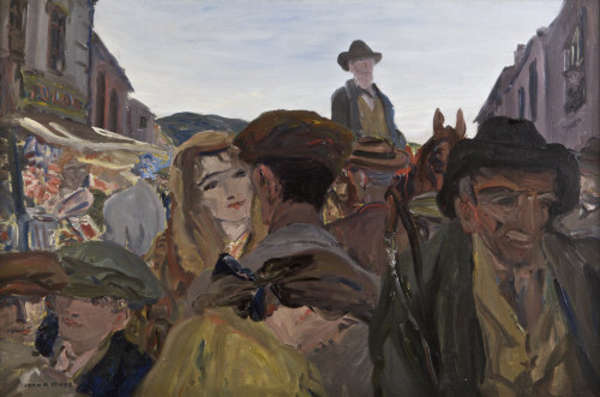 “A Fair Day, Mayo” oil on canvas (24″ x 36″) sold at Adam’s – 28/9/2011 for €1,000,000 – the all-time record for the work of an Irish artist. 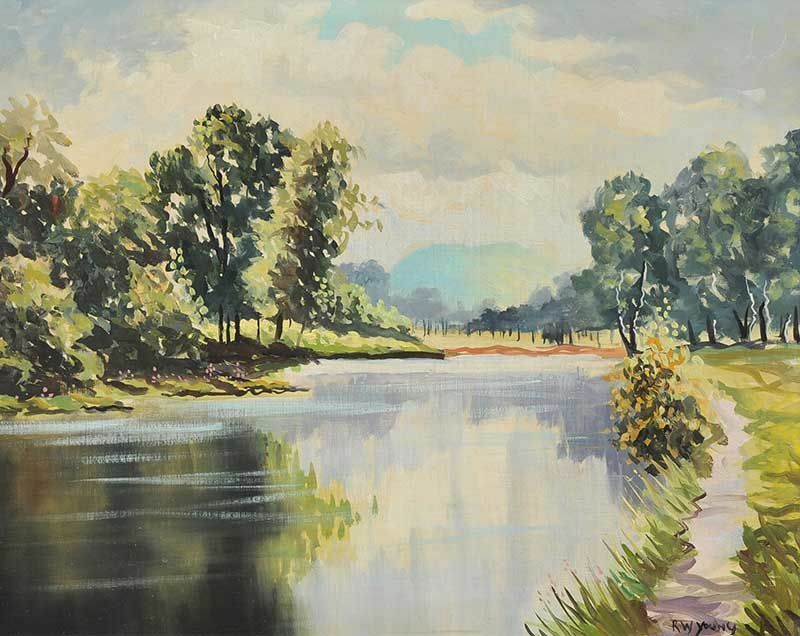 “The Dodder in flood, Ballsbridge, Dublin” 1929, oil on panel (9″ x 14″), sold at Whyte’s – 27/11/2017 for €33,000. “Self Portrait” oil on canvas board (11.5″ x 9.5″), sold at Sotheby’s – 23/5/2013 for £17,500. 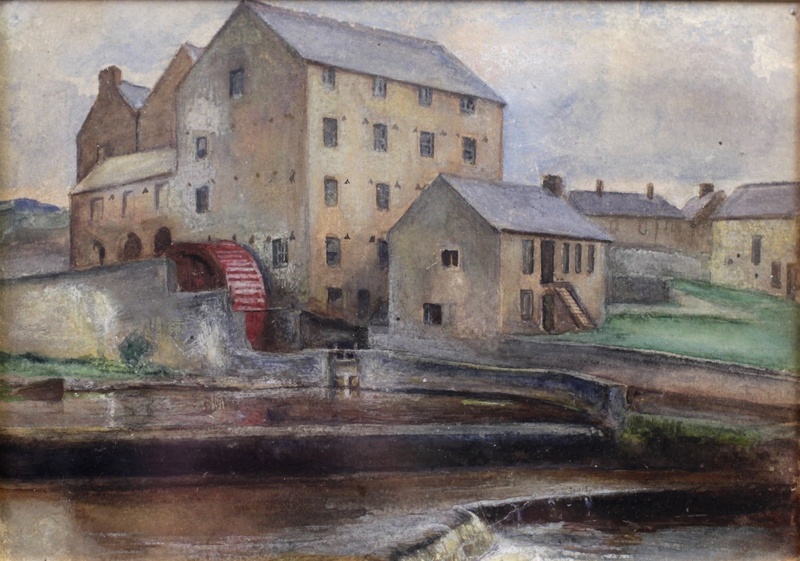 “The Water-Wheel and Mill-Houses at Ballisodare, Co. Sligo” watercolour (5″ x 7″), sold at Fonsie Mealy’s – 14/11/2017 for €1,000. 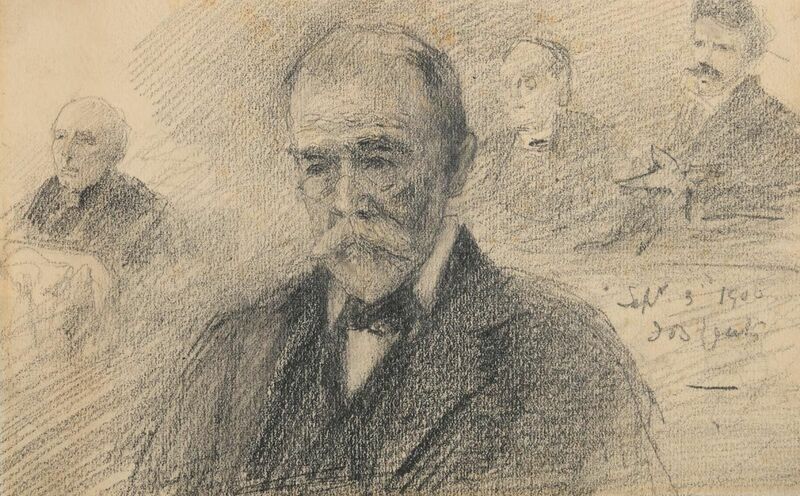 “Alderman Cotton – MP of South Dublin” dated 1906, pencil drawing (5″ x 8″), sold at Morgan O’Driscoll’s – 14/8/2018 for €1,000. 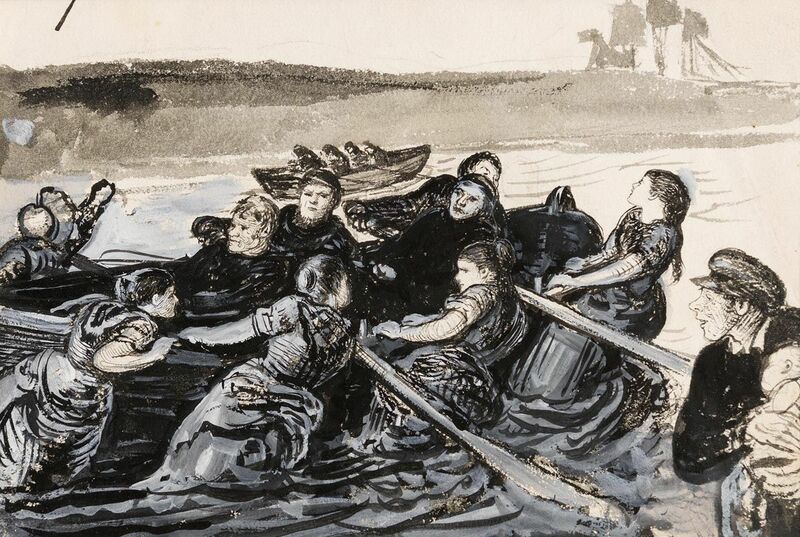 “Hauling In” watercolour (6.5″ x 10″), sold at Morgan O’Driscoll’s – 12/11/2018 for €2,600. 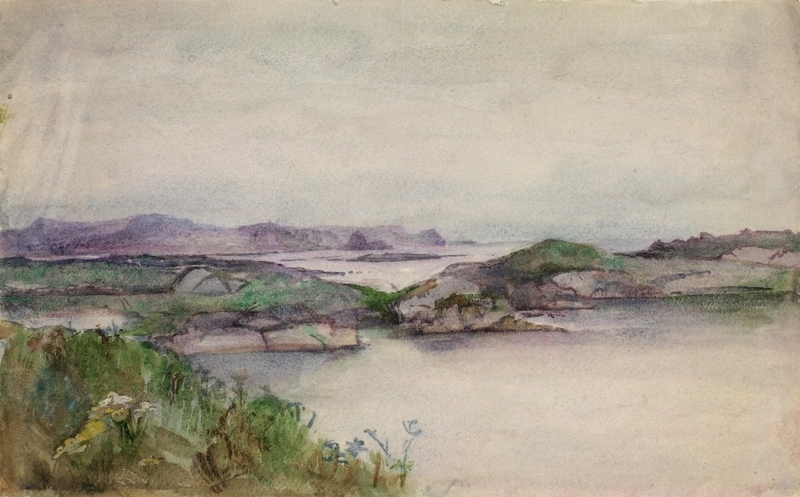 Seafront scene near Burtonport – watercolour (11″ x 18″), sold at Fonsie Mealy’s – 14/11/2017 for €500.00. 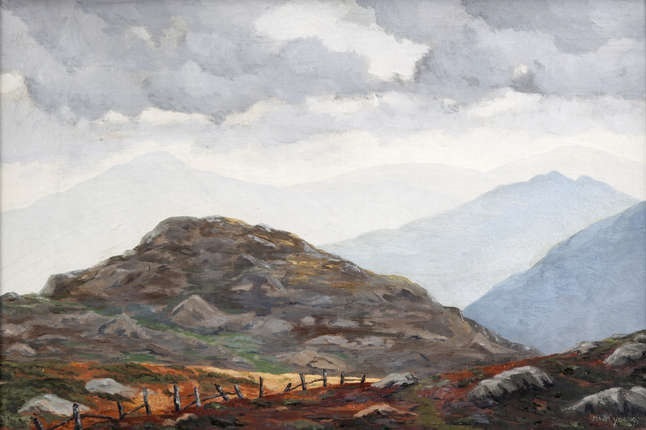 “Tollymore Place” oil on canvas (16″ x 20″), sold at Ross’s – 7/9/2016 for £80.00. 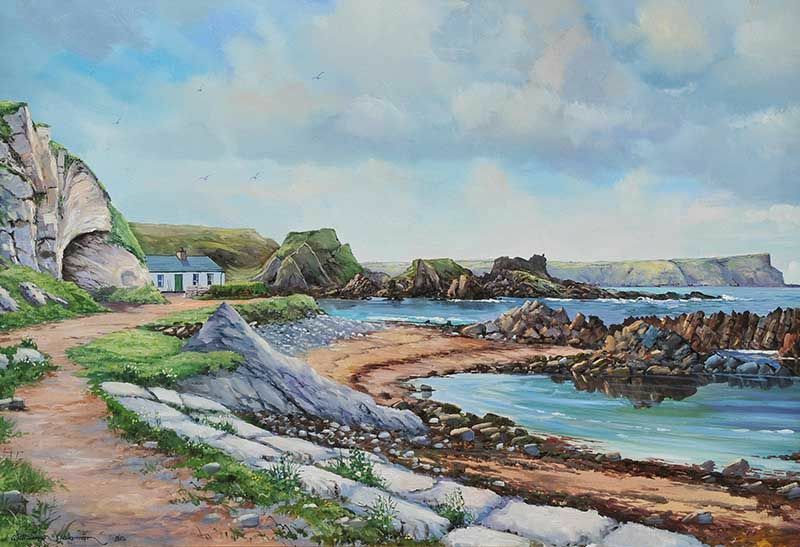 “Ballintoy, County Antrim” oil on canvas (20″ x 30″), sold at Ross’s – 1/3/2017 for £220.00. 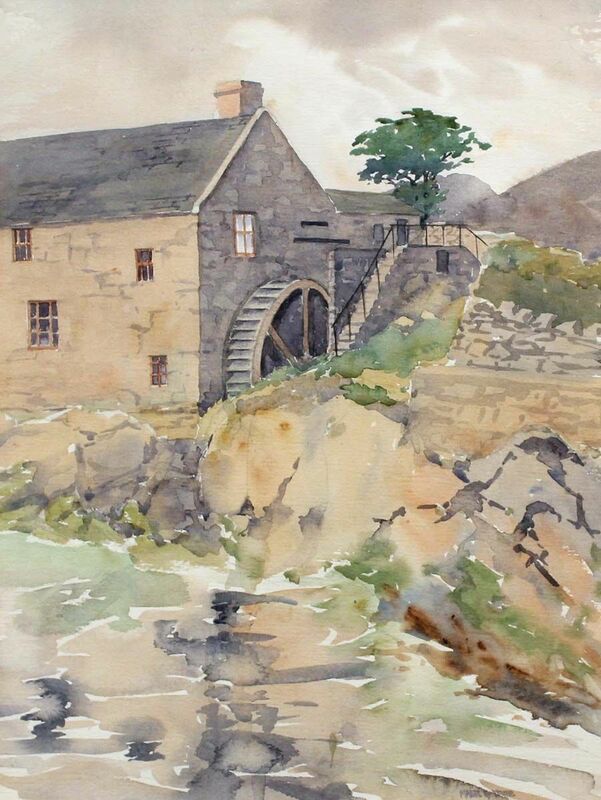 “The Cornmill at Annalong” watercolour (12″ x 16″). 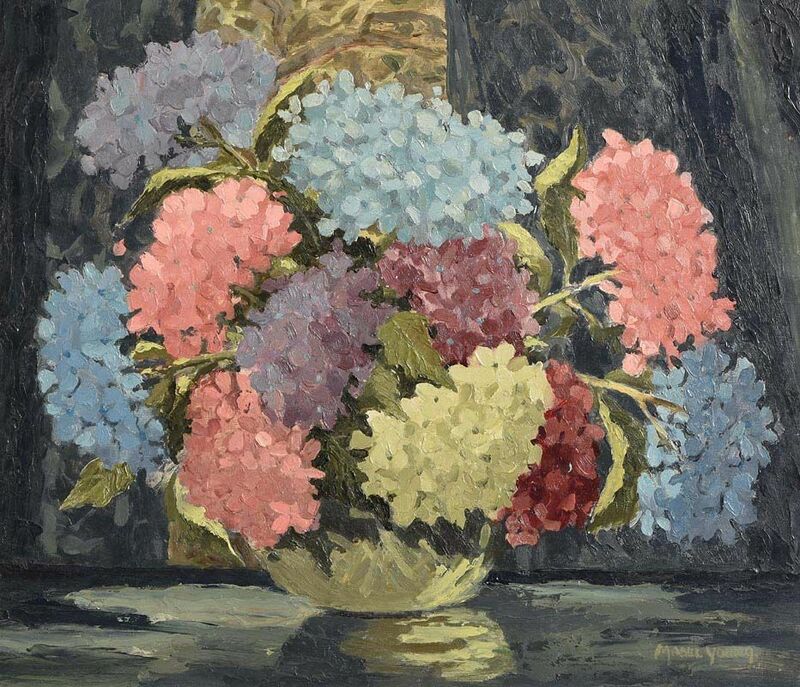 Left to right: “Still Life – Vase of Flowers” oil on board (14″ x 16″) sold at Morgan O’Driscoll’s – 5/3/2018 for €600; and “Luggala, Co.Wicklow” oil on board (15″ x 29″), unsold at Adam’s – 28/9/2016. 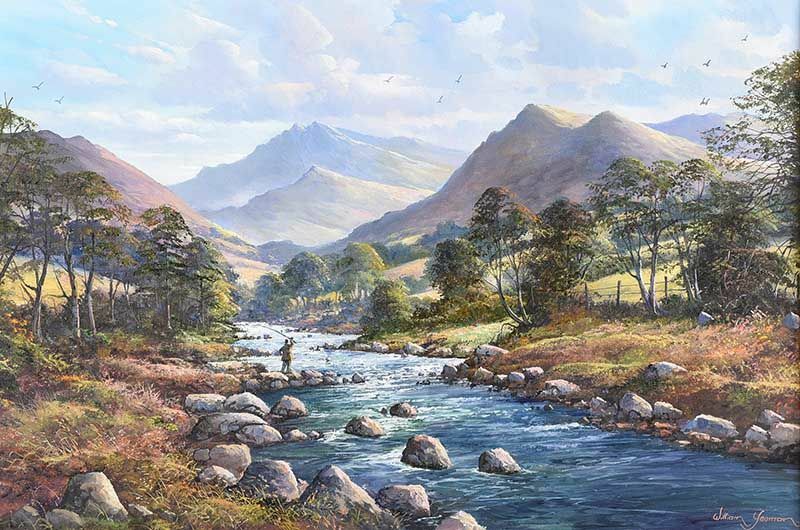 “Slemish from the Braid River” oil on board (15″ x 19″), unsold at Ross’s – 3/5/2017.